Suppose for just a moment that you came home from a long day at work. You’re exhausted and just want to sit down. You collect the mail and look through it. Mostly junk but one piece sticks out. It is a notice that a package too valuable to be left when you’re not here awaits you at the Post Office. All you have to do is pick it up and the package is yours. That moment between knowledge and possession of the package is wild. The package is there for the taking but not yet fully yours. Waiting can be excruciating. Now imagine living most of your life in that moment. It’s my pleasure to introduce you to Ed Squire. Ed shares his testimony with me and described the long period of time when he was “one foot in, one foot out” with the Lord. He was a believer and knew that God loved him but he struggled constantly with living in His love. He knew the package was his but took his time picking it up. You’ll hear him struggle with God and share with an intensity that few can. 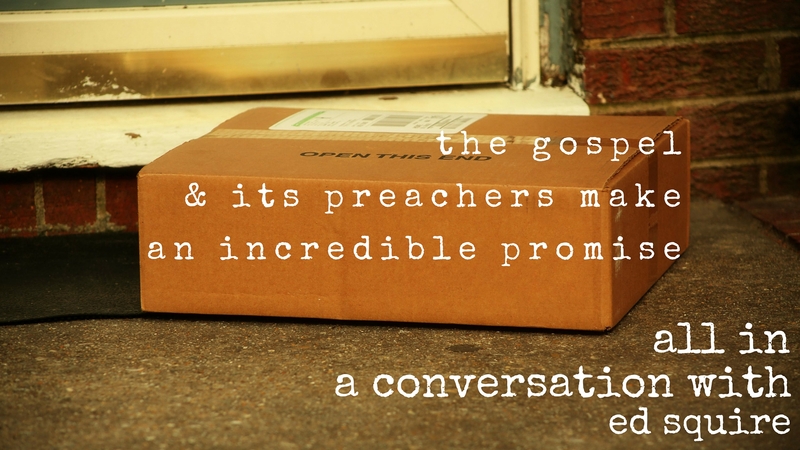 We also have a pretty deep theological conversation about what the Gospel really means for our acceptance with God. 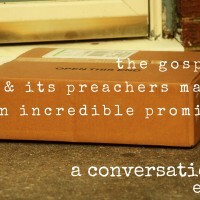 The Gospel and its preachers make an incredible promise. I have a love relationship with Jesus Christ and a love relationship with my Father. With our Heavenly Father, we are always in good standing with Him. Did you enjoy hearing Ed’s story? If so, be sure to stop by iTunes and subscribe. While you’re there leave a review which helps our visibility in the rankings.